As early as in the year 1833 the imperial government thought of an immense railway system connecting Rio de Janeiro with Bahia in the north, Minas Geraes in the west and Rio Grande do Sul in the south. Only in 1855 however a line Rio - Sao Paolo was licenced. That government-owned Dom Pedro II Railway, from 1889 the Central, got 1.60m broad gauge. In the opposite direction, the Central reached Belo Horizonte only in 1917 on meter gauge. Mallets for freight and Henschel Pacifics for passenger trains appeared there. 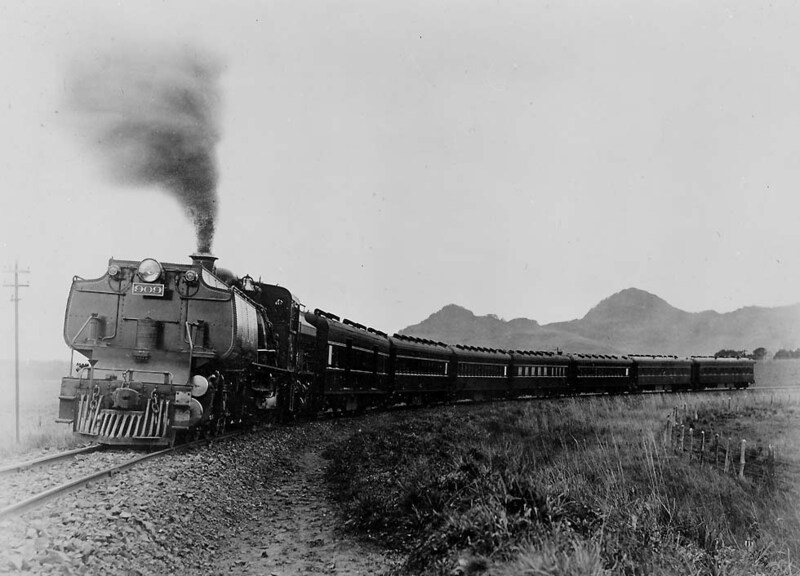 The expresses Rio - Sao Paolo were headed by American Pacifics and also by nice Maffei 2-6-2 engines. Around 1912 the Central had got 12-wheeled day saloon cars of Nesseldorf, almost exactly a copy CIWL saloons. In 1957 the government incorporated 18 railways into the RFFSA and the Central do Brasil was the most prestigious one. 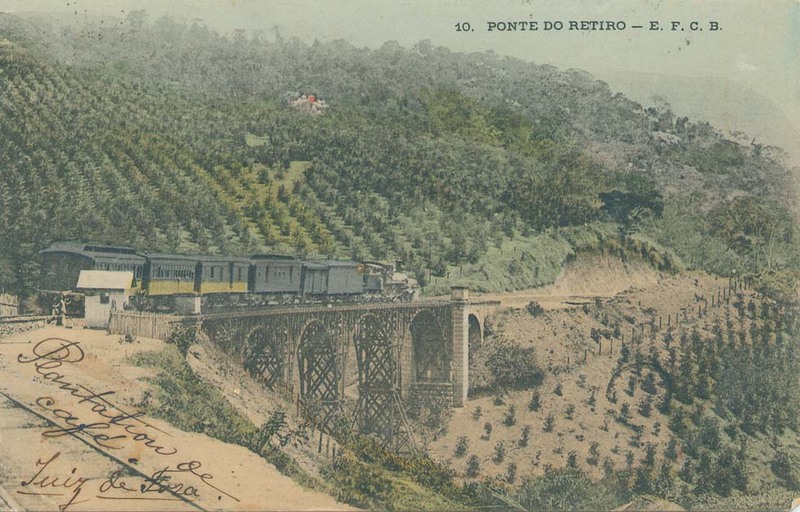 The network of the private Leopoldina connected from 1875 Rio with the noble resort Petropolis by meter gauge, partially rack-and-pinion. Together with the meter gauge railways in Minas-Geraes it became part of the Central system of the RFFSA. Around Salvador the Central Bahia or Este established a meter gauge network which was linked with the Central do Brasil as well as the meter-gauge Great Western around Recife in the north. From the northern port of Sao Luis started the North Eastern which finally became connected with the Great Western. It formed the Nordeste system of the RFFSA. A mining railway by the EFC from Sao Luiz to Parauepebas of 1987 carried also passengers - while all the other passenger services in the Norheast were stopped. On the mouth of the Amazonas, short isolated railways had been built at Belem and at Porto Santana. 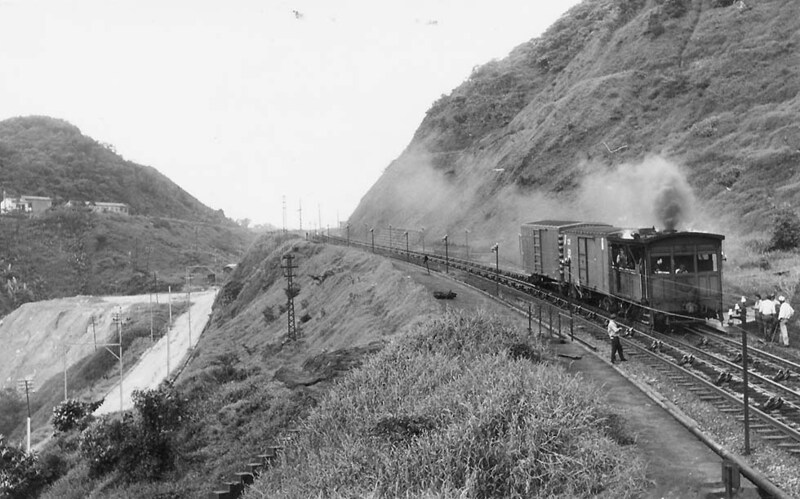 An absurd one was the meter gauge Madeira - Mamore, the "Mad Mary", completed in 1911 between Porto Velho and Guajaramirim in order to circumvent the rapids of the Madeira river. It never reached Santa Cruz in Bolovia, it was operated irregularly and in 1972 closed down. Sao Paolo was reached from the harbor Santos on a 1.60m gauge with cable sections over the steep gradients, opened in 1868 by the British-owned Sao Paolo Railway. 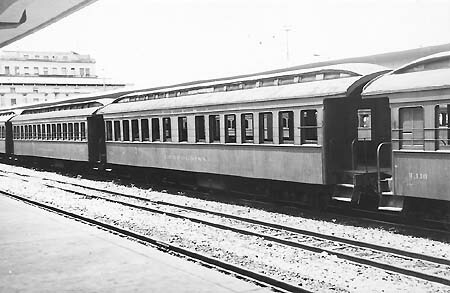 In the ‘30s “Comet” three-coach diesel railcars came in use. At Sao Paolo passengers had to change trains and from there to Jundiai big-wheeled bright green/black 2-6-2+2-6-2 Beyer Garratts hauled the expresses. At Jundiai connected the Paolista on broad gauge and westward on meter gauge to Bauru, reached in 1910. The meter gauge Sorocabana Railway established a second line to Santos, later broad gauge. From 1875 the Mogiana built a line northward. In 1968 it got a diesel-hauled express train with sleepers and diner to the new capital Brasilia, the “Bandeirante”. Now however the capital has not a single passenger train. All these networks had formed in 1971 the FEPASA, but the Santos -Jundiai line was taken over by RFFSA. Still at the end of the ‘60s on the mountain section steamed the old tank locomotives, but then an electrified rack-and-pinion system was built. 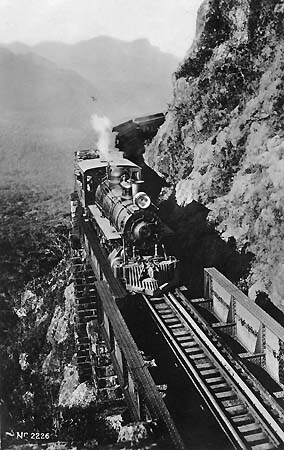 A meter gauge from Bauru northwestward, the Noroeste, reached Porto Esperanca in 1920. Only after a huge concrete bridge over the Rio Paraguai has been built in 1955, it continued to Corumba on the Bolivian border. 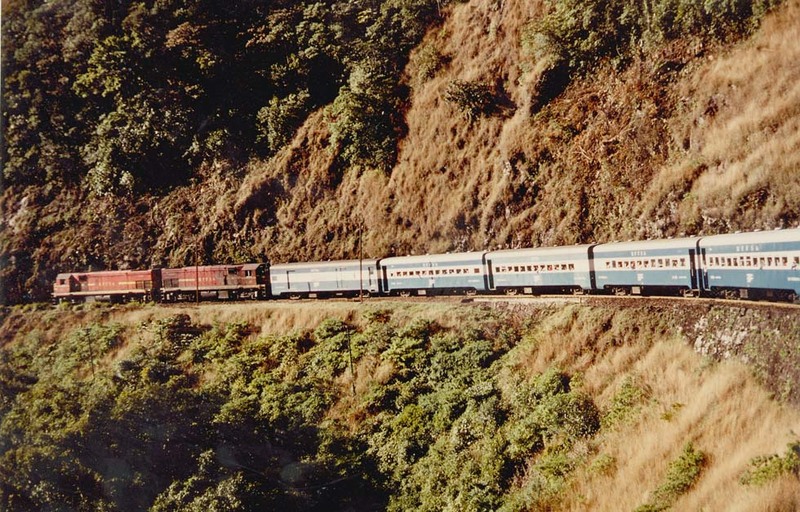 In 1992 La Vie du Rail described a trip with the RFFSA train Bauru - Corumba, 1300 km in 49 hours - a modern express with a red General Electric U20 diesel and a dozen light-blue/white cars, including three 2nd class and three 1st class coaches, two 1st couchettes, a diner and a staff car. At Corumba passengers had to walk 11 kilometers to Puerto Suarez, where they could take the Bolivian train to Santa Cruz. On the other end of the line, at Bauru, a broad-gauge express with a 4-6-6-4 electric engine of the FEPASA connected with Sao Paolo. In 1993 however passenger services between Bauru and Campo Grande and then also to Corumba disappeared. The southern provinces were reached on meter gauge by the Sorocabana and the Rio Grande do Sul, a complex network with takeover of various railways. It connected Sao Paolo with the border of Uruguay and with Porto Alegre by a rather circuitous way. The most spectacular line of that meter gauge system is the Parana railway via Curitiba down to the harbor Paranagua, completed in 1885. As complicated as the history of the company was the locomotive stock. In the '30s Henschel 4-6-2+2-6-4 Garratts hauled maroon-colored expresses on the Rio Grande do Sul. With the reorganization all these lines became the RFFSA Southern. The Budd railcar and the blue/white diesel-hauled train on the Parana railway still attracted tourists. All services further southward however were closed down. A new more direct "Tronco Sul" from Sao Paolo to Rio Grande do Sul remained a dream. Brazil never was interconnected completely by railways, neither it got international expresses. 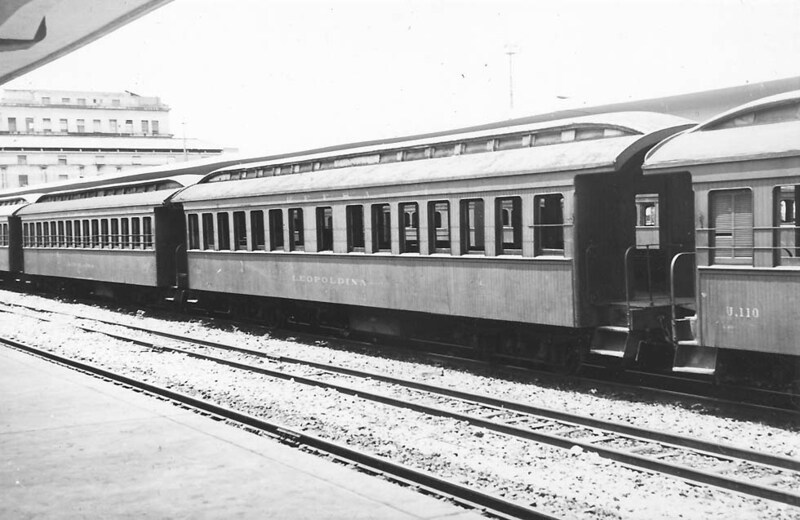 Between the wars the Compagnie Internationale des Wagons-Lits et des Grands Express Européens had talks about running services in Brazil, as CIWL historian Roger Commault confirmed. They remained without result. Nevertherless the Central, which in 1974 introduced modern 4-unit diesel railcar sets from Ganz-Mavag, had also a really grand express. It was the "silver" train, the luxury sleeping-car express which from 1951 connected Rio with Sao Paolo - a true North American streamliner with sparkling stainless sleepers, diner and observation car from Budd. Its huge red electrics, used in the Rio suburbs, were from the General Electric series which initially should have been sent to Siberia. In 1991 it was closed down. Like a miracle it was revived in December 1994 by RFFSA, a hotel chain and a bus company. Sleepers, diner and bar-lounge were refurbished and equipped with bullet-proof windows. It ran from Rio (Barao de Maura) to Sao Paolo (Luz). The attempt failed and the most prestigious train of Latin America vanished once again. A new high-speed line Rio - Sao Paolo became a dream, unfulfilled until now. In the 21st century no passenger train services appeared in the timetable, except a train Vitoria – Belo Horizonte, trains from Sao Luis and Porto Santana inland and a few local services.